CORPORATE hospitality is available at the LD Nutrition Stadium at every home game, with places in the Premier Suite available from as little as £29.95 per person. In partnership with our fantastic catering team, we can serve all your needs from the comfort of Featherstone Rovers’ executive area. Our Premier Suite can seat more than 150 guests, providing the perfect backdrop in the run up to kick-off! You can wine and dine your guests, fellow supporters and club legends from the comfort of our corporate facilities, before taking in all of the on-field action from the stadium’s most appealing vantage point. 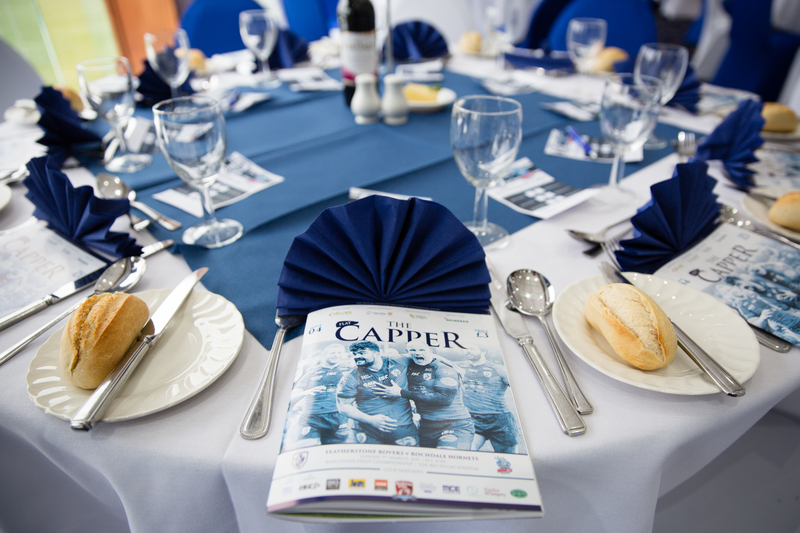 For more information on how you can enjoy executive gameday hospitality here with us at Featherstone Rovers, CLICK HERE or call 01977 702 386 during normal office hours.